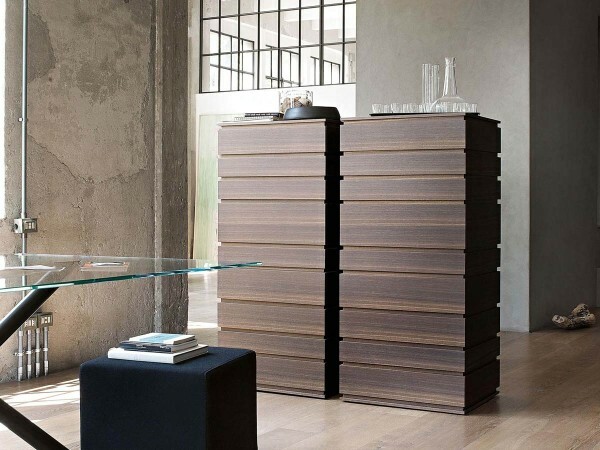 Drawers in oak by Lema. Design by Alessandro Dubini. Perfect for any space of the house, from the day area to the night area. 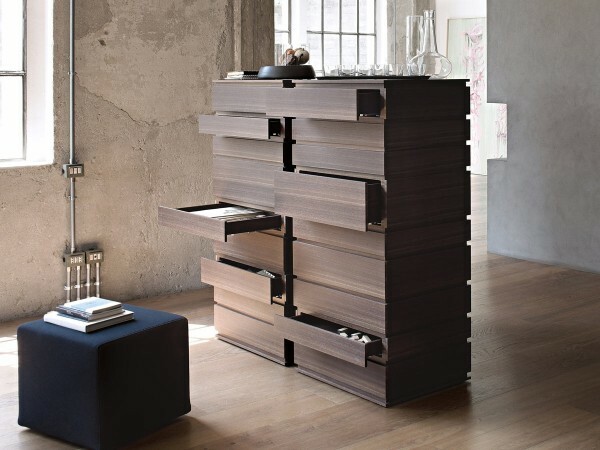 Signed by Alessandro Dubini,Nine drawer unit consists of a column in thermally-treated oak which forms a visual composition hiding nine drawers of different heights and depths. The diverse dimensions of the frontal panels lighten a sober, classic piece and transform it into a refined but modern totem ideal for any room of the house, from the day area to the night area. Finished on four sides, Nine drawer unit can be placed at centre room.